Welcome To The Country Shul! We look forward to meeting you and your family! Please select your membership type. If you have difficulty making immediate payment or if you would like to request a discounted membership option please select 'pledge' option and email us at office@countryshul.org or Rabbi Sanders at rabbi@countryshul.org. We will make it work for you! 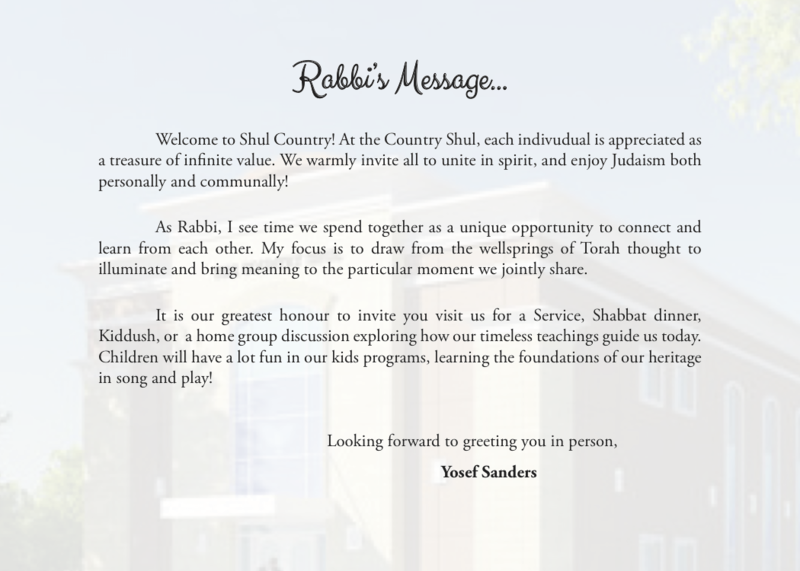 The Country Shul Appreciates Your Support! Once this form is submitted an 'Active Membership Account' will be established for you. We will then send you an email login link, please click on the link and enter in a password and other Account information (including family information for us). Thank you! Not ready to become a Member just yet? Please register for a FREE Account at the top right of the page 'Register New User', and share some information with us so we can keep connected with you and your family.